March 9th, 1959: The Barbie Doll was introduced at the American Toy Fair in New York. March 9th, 1933: President Franklin Roosevelt submitted the Emergency Banking Act to Congress to ease the run on small banks causing them to go into bankruptcy. March 9th, 1955: James Dean’s first performance in a major film started. He starred in a movie entitled East of Eden, for which he won an academy award nomination. March 9th, 1974 : Work on the 800 mile long Alaska Oil pipeline connecting oil fields in northern Alaska to the sea port at Valdez began. The project was completed in just over two years and transports up to 2 million barrels of oil per day. 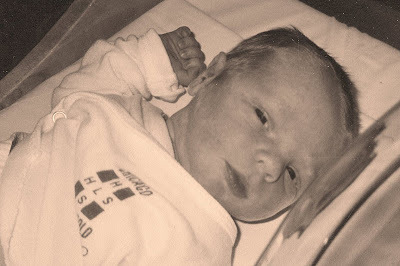 And on March 9th, 2000... Finnr Sverre Elsmo entered the world. His shock of red hair was the loudest thing about him; he was soft and gentle and snugly. He snickered and drooled and slept. In every way he was exactly what I had been waiting for and my love for him was an instantaneous overflowing flood. Today we are captivated by Finn's sincere kindness, sensitive heart, and sense of humor. Happy, happy birthday, Finn, from a fellow Pisces person! Finn, Happy Birthday! We hope it was terrific. Happy Birthday, Finn. March 9th is my mom's birthday too so it's a doubly good day! !